That’s 30 separate collaboration training environments, with over 60 partners learning about the new collaboration platform products. The best part? Not a single server in sight. 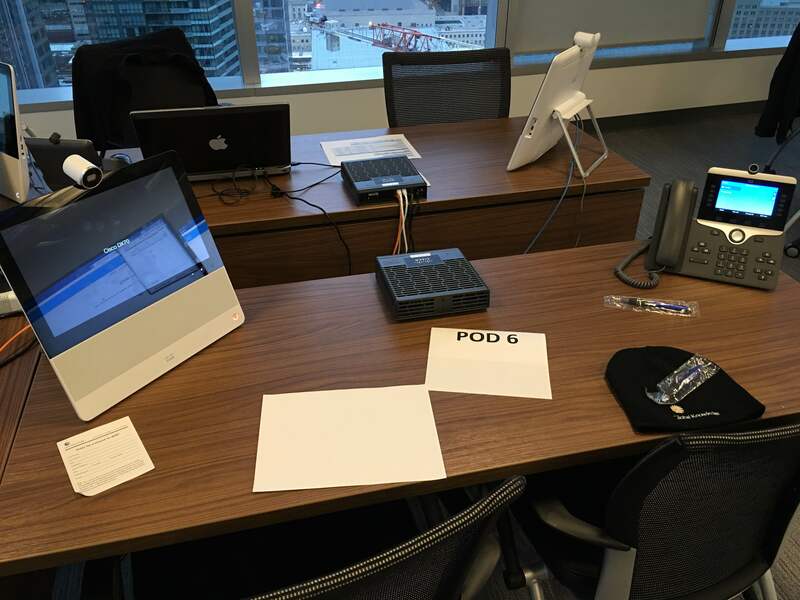 Each desk has a brand new 720p Camera attached Cisco 8865, and a DX70 Telepresence device. The performance of all pods is PERFECT, you would never know that all of this is being virtualized thousands of miles away in Cisco’s high end dCloud data centre. Yesterday, a few had lab issues, which is common in training environments. One quick web site visit, and those pod’s were reset. Back up and running in minutes, saving valuable training time and money for partners. Rumors online and from people in the know suggest Cisco is not slowing down with dCloud either, there is the hint of major investment in the program. With more and more uptake on dCloud services, and Cisco continuing to tell us it is – and will continue to be a free offering for partners, no other technology company in the world is putting this kind of investment into a learning, development, demo and training platform. People are finding new and innovative ways to use the platform, including Cisco internally. 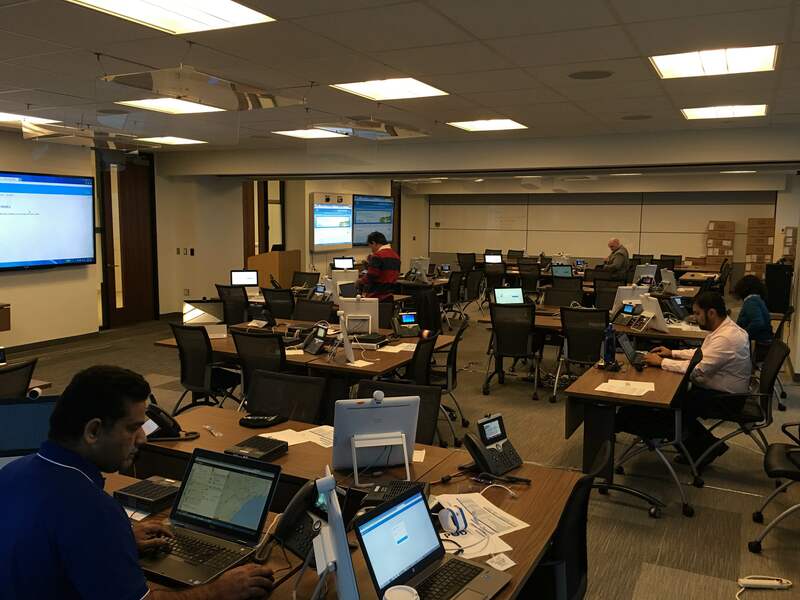 These Collaboration Training sessions are now being hosted via dCloud. New and innovative internal use cases are starting to bloom. Development – You have written some new integration software, or code and want to sandbox it. Practice, Testing, Break/Fix – You want to test out a solution to a problem, but are worried about damaging something. The best part is, unlike your lab, it’s never broken, and if you do break something, a quick switch and it is all reset. Cisco is encouraging this off label use for the platform, and people are finding new and innovative ways to leverage dCloud. Sound off in the comments — what do you use dCloud for? How much is dCloud being used? Well, check this one out – at 9:30AM Eastern Time… Over 1200 active sessions!